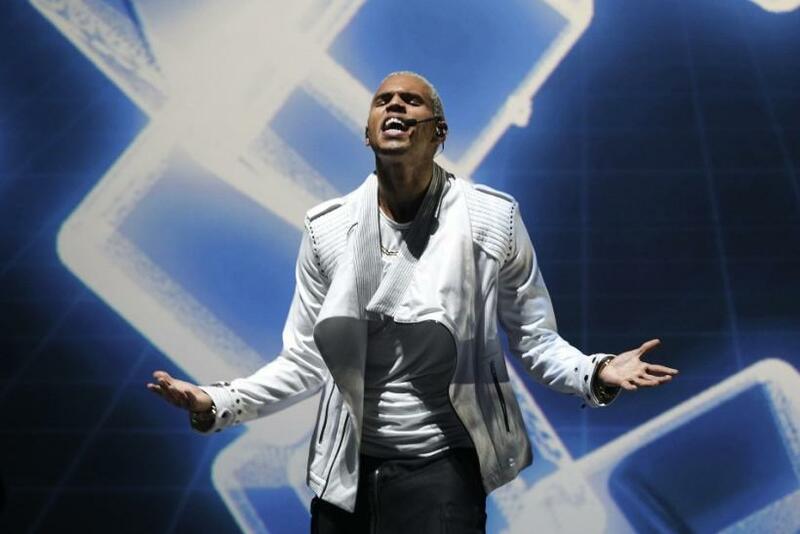 Chris Brown is back and this time he is not smashing windows. Instead, he is stripping in his new music video, revealing his tattooed chest and six-pack. Strip is Brown's new single featuring Kevin McCall, which is expected to come out on his new studio album Fortune, according to Ace Showbiz. In the video Brown throws a house party where he is surrounded by hot, oiled up women in flimsy bikinis. He shamelessly leads the women to hot tubs surrounded by snow. Chris Brown feat K-Mac Strip from Riveting Entertainment on Vimeo. Meanwhile, Brown was recently nominated for MTV's best live MTV performance and his single Beautiful People made it to Amazon's MP3 of the day, on Dec. 3.The rapper is gearing up to release another single according to his recent tweet. I'm also really excited about the release of my single titled 'BIGGEST FAN' produced by the RUNNERS! Aside from his music, Brown made headlines after assaulting ex-girlfriend Rihanna. Brown was sentenced to five years' probation and to spend more than 1,400 hours in labor-oriented service. CNN obtained a probation report that revealed Brown had been involved in at least two other domestic violence incidents before the Rihanna attack in 2009. The first incident occurred in Europe about three months before the present offense, the report said. The victim [Rihanna] and the defendant [Brown] were involved in a verbal dispute and the victim [Rihanna] slapped the defendant [Brown]. He responded by shoving her into a wall, CNN reported. The defendant [Brown] and the victim [Rihanna] were visiting Barbados and were driving a Range Rover loaned to them by a local dealership, the investigator wrote. They had an argument inside the car. The defendant [Brown] exited and broke the front driver and passenger side windows of the car.